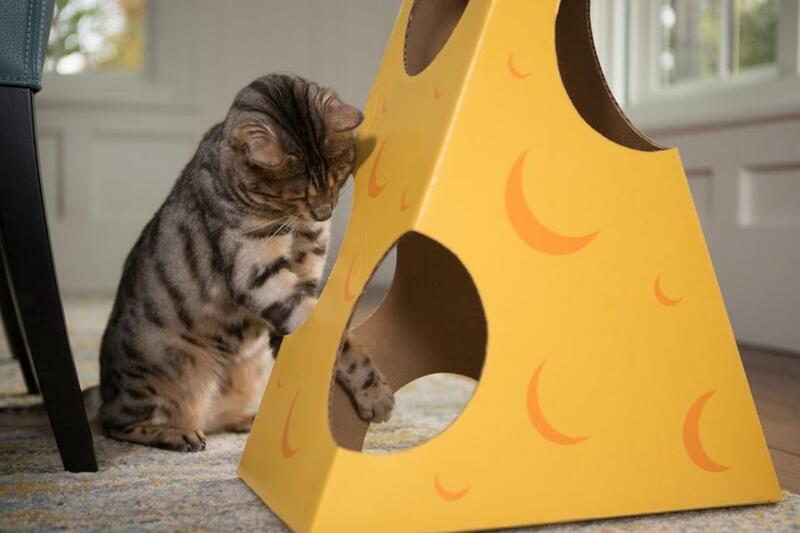 Cat in the Box, recently launched in Ashland, offers playful litter box designs including The Monster Cheese Wedge, which seems to have intrigued this feline. Cat in the Box, a new company launched in Ashland, makes creative and playful box designs for cats that keep the animals entertained and liven up their owners’ homes. Owner and chief executive Dawn LaFontaine said she came up with the idea after realizing how many cat owners keep old cardboard boxes for their pet’s sake. “Why do cat owners put up with dirty, ugly cartons in their home?,” LaFontaine asked in a statement. “Why not clever, fun, and highly Instagram-able cardboard boxes, that could also be disassembled and put away when you have company?” The company’s cat boxes are manufactured in Westwood from recycled cardboard and imprinted with soy-based inks made in Canton. For more information, visit https://thecatisinthebox.com/. Harvard Sweet Boutique is expanding its Hudson store offerings to include a line of healthier foods. The Powerhouse line is made with whole, unprocessed ingredients. To introduce these new products, the bakery will host a launch event featuring free samples Thursday, March 15 from 11 a.m. to 2 p.m. at 25 South St. The new line focuses on incorporating healthier flours such as brown rice and spelt, and natural honey or maple syrup instead of processed sugars. Powerhouse offerings include açaí power bowls with house-made granola, avocado toast with gluten-free seeded artisan bread, blueberry spelt muffins, and more. For more, visit www.harvardsweetboutique.com. Revels member David Coffin performs with the Padstow 'obby 'oss — that’s hobby horse to you — at a previous Revels Spring Sing. This year’s event happens Saturday, March 17. Revels, a performance group in Watertown, is hosting “Revels Spring Sing” Saturday, March 17 from 2 p.m. to 4 p.m. This celebration of the upcoming spring equinox will usher out winter with music and dance. Music director Megan Henderson will lead attendees in communal singing. 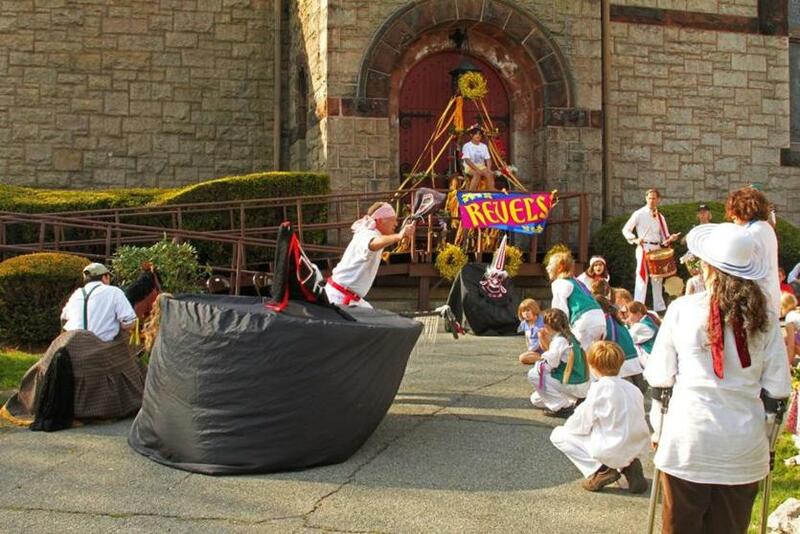 Revels will also perform a mummers play. This year’s Spring Sing will draw on traditional songs from England, Ireland, and America. The event will take place at Belmont-Watertown UMC, 80 Mt. Auburn St. Doors open at 1:30 p.m. Tickets are $20 for adults and $8 for children. To purchase tickets or for information, visit www.revels.org/springsing.